Monty Brinton/CBSNe-Yo made sure to profess his love publicly to his fiancee, model Crystal Renay, for her birthday. The singer took to Instagram to share a heartfelt message, along with a black-and-white photo of the the model smelling a rose. It appears the couple are celebrating her birthday somewhere tropical — the model shared an Instagram photo of them kissing next to a dolphin. “Dolphins & Kisses and FYI I LOVE his bald head so nobody has to like it cause I LOVE IT,” she wrote. The couple are expecting their first child together, a boy. 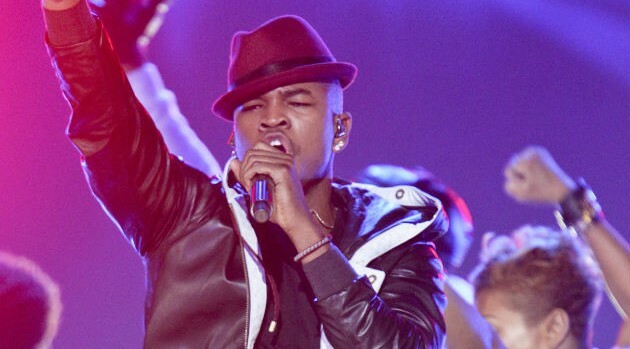 Ne-Yo has two children by his former fiancée, Monyetta Shaw: 4-year-old daughter Madilyn and 3-year-old son Mason.